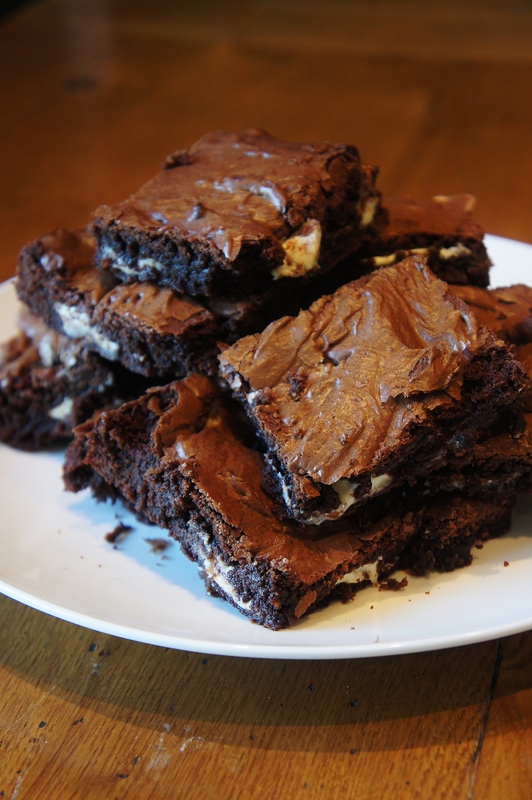 I LOVE brownies, they may actually be my all time favourite bake! What I love about them is that once you have a basic brownie recipe that you adore, you can throw in practically any other ingredient. Why not try adding your favorite chocolate bar cut into chunks? 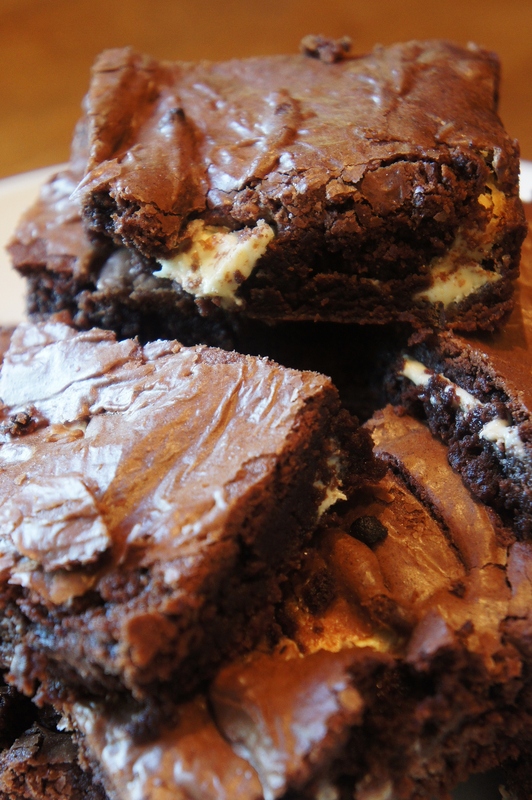 Or check out my Malteser Brownies for an interesting malt crunch throughout. 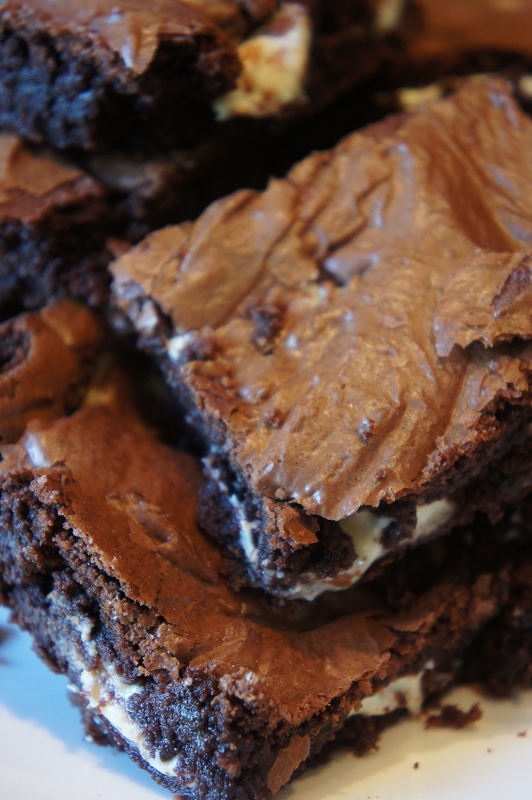 However, more to the point… This recipe will give you a bloody good brownie. Gooey in the center, fudgey on the outside and jam packed with soft, slightly melted white chocolate chunks. Preheat oven to 180°C and grease a 23cm square tin with a little butter. 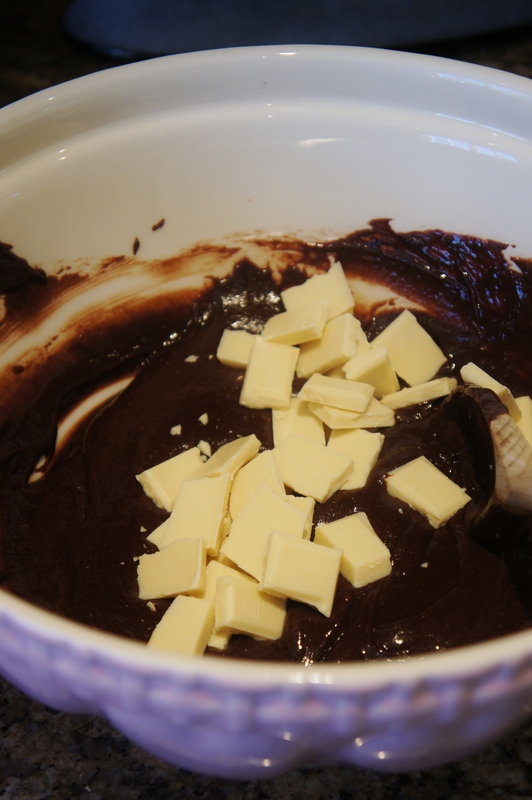 First, melt your dark chocolate and butter in a glass bowl over a pan of simmering water on a low heat. When completely melted and smooth leave on the side to cool. In a separate bowl, whisk together the sugar and the eggs. Add in the cooled chocolate and butter mixture to the sugar and eggs and also add in the flour. Fold the mixture together with a large spoon/spatula until combined and thick. Finally add in the white chocolate chunks and fold into the mixture. Transfer to your greased baking tin and bake in the oven for 18 minutes. The top should be starting the crack and a skewer inserted into the middle should come out slightly covered in brownie mixture. Leave to COMPLETELY cool and cut into 12 brownies. These brownies warmed up for 20 seconds with vanilla ice-cream…. to die for! !